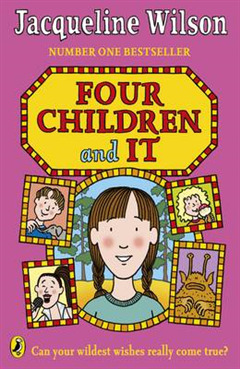 Four Children and It is the number one bestseller from Jacqueline Wilson, the award-winning, bestselling creator of Tracy Beaker, Hetty Feather and The Illustrated Mum. 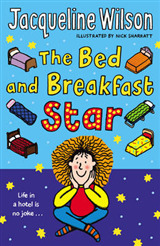 A funny and heartwarming story of four children who discover an extraordinary way to make wishes come true, Four Children and It is inspired by E Nesbit's classic, Five Children and It. 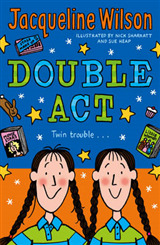 Jacqueline Wilson's millions of fans will be gripped by the relationship between step-sisters Rosalind and Smash, just as they love the story of sisters Jodie and Pearl in My Sister Jodie or Lily and Pixie in Lily Alone. 'Readers always ask who inspired me to be a writer. Well, I adored E Nesbit's books as a child - and I liked her lifestyle too. She liked Liberty clothes, silver jewellery and buns for tea, and so do I! 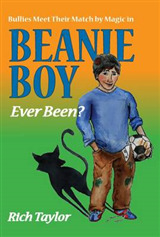 My favourite E Nesbit story is Five Children and It - and this is my modern day tribute to her fantastic story' - Jacqueline Wilson. 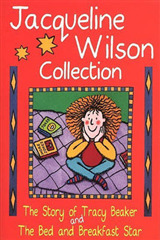 Jacqueline Wilson has won many awards for her writing, including the Guardian Children's Fiction Award and the Children's Book of the Year. 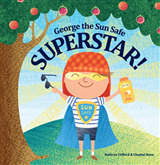 She is one of the nation's favourite authors, and her books are loved by young readers not only in the UK but all over the world.